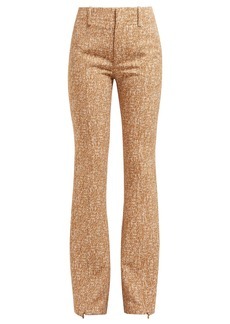 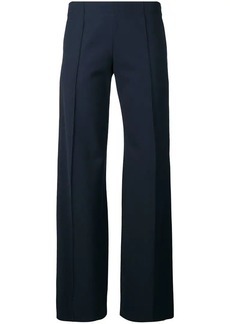 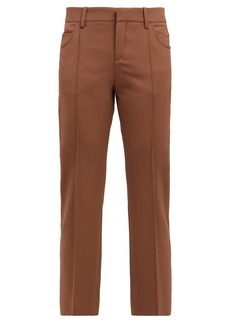 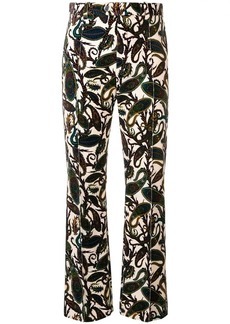 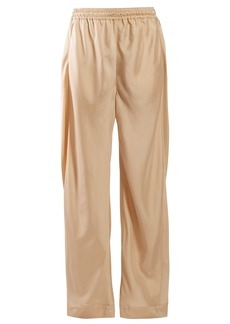 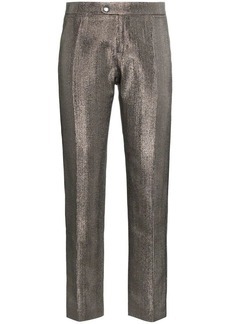 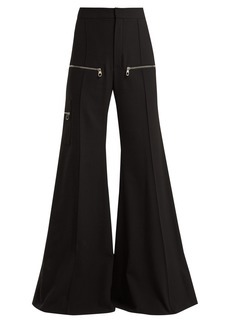 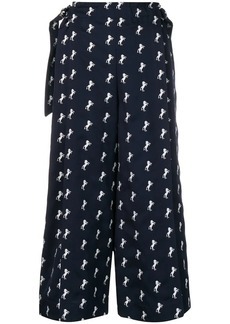 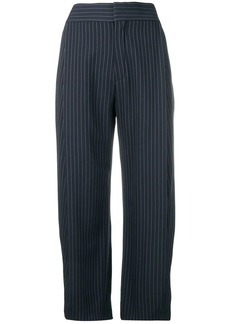 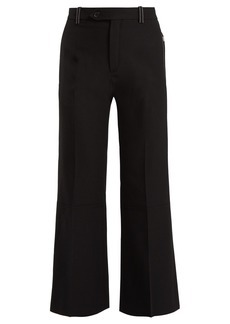 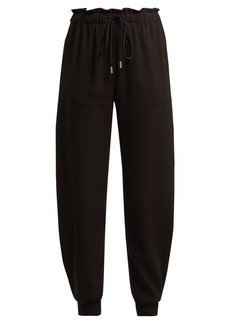 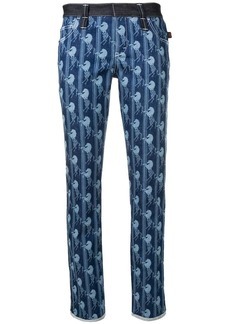 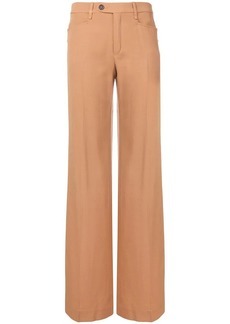 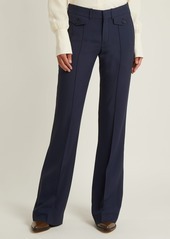 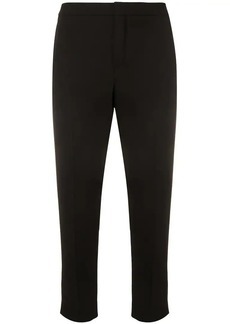 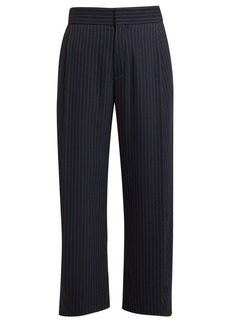 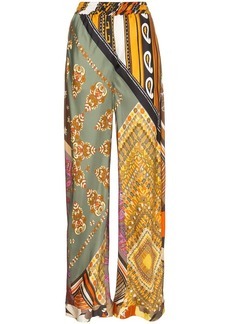 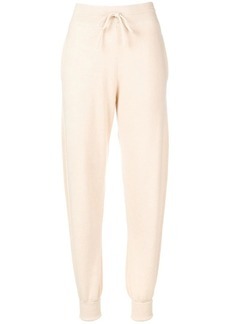 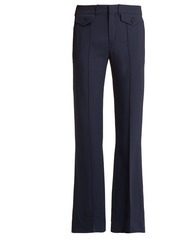 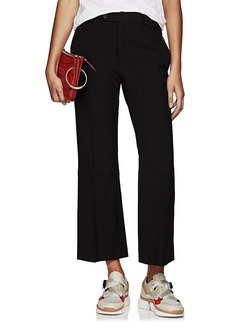 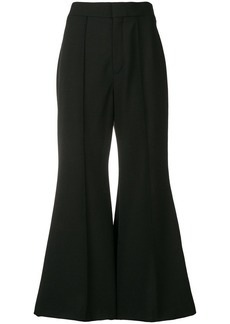 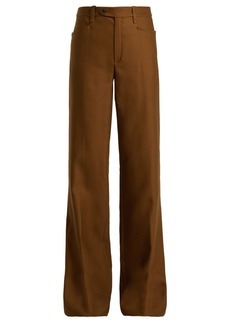 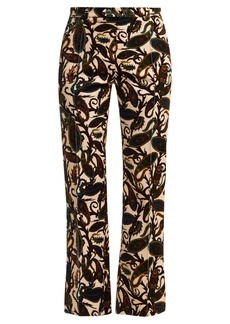 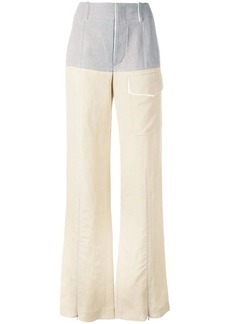 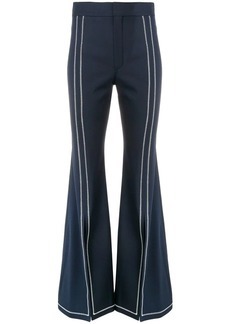 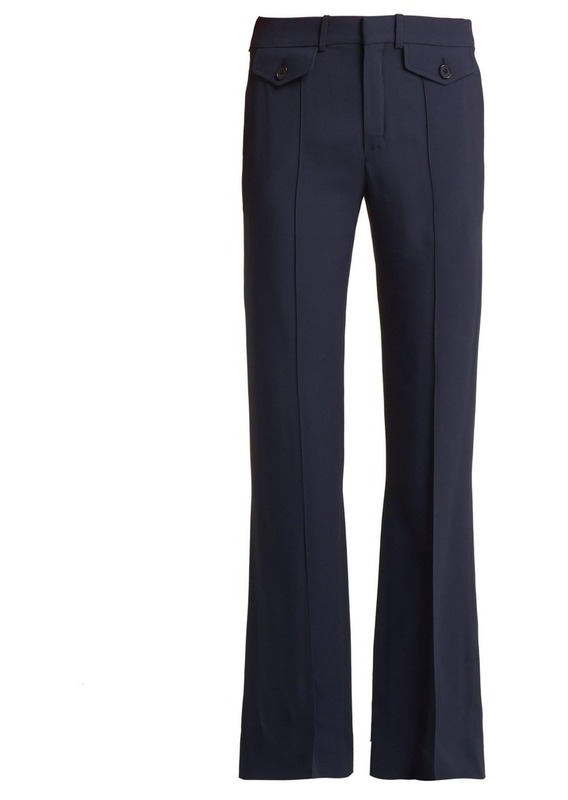 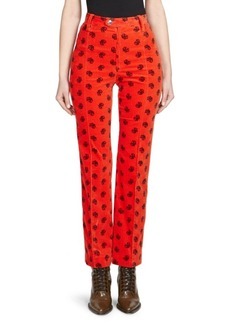 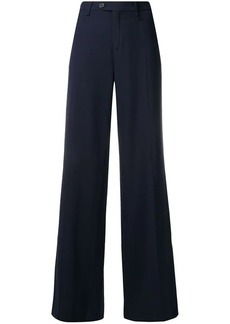 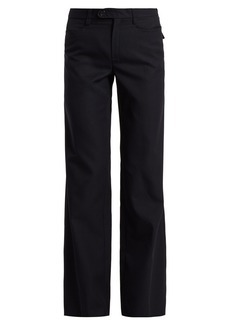 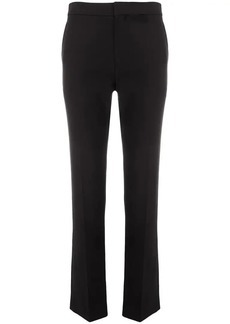 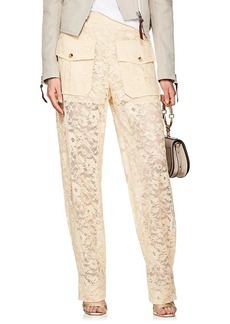 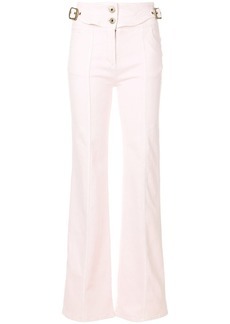 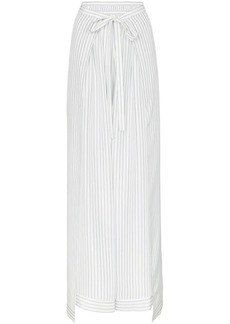 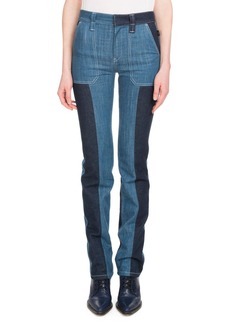 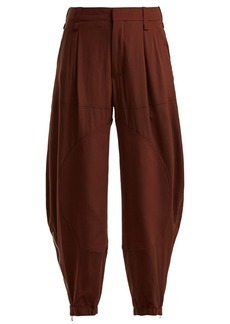 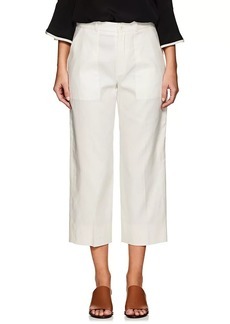 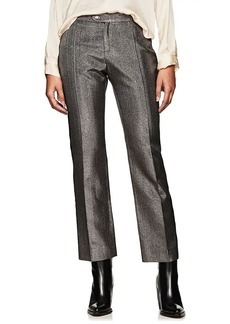 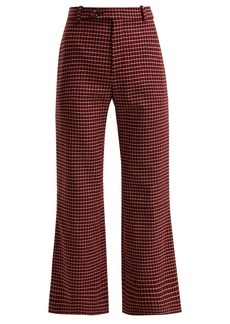 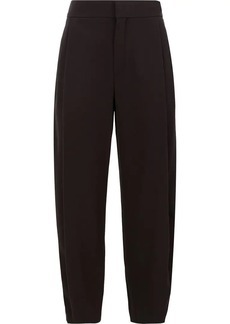 Tailored in Italy, these navy trousers from Chloé are crafted from cady, which lends fluidity to the relaxed shape. 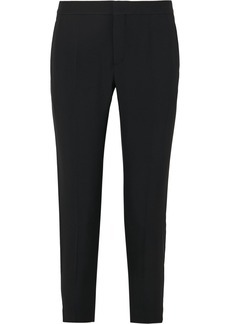 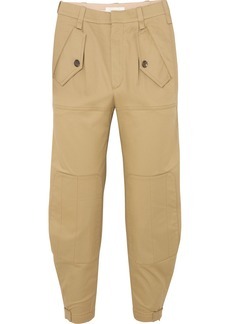 The mid-rise waist sits on the hips, leading to button pockets and a stitched front creases through the legs for a tailored feel. 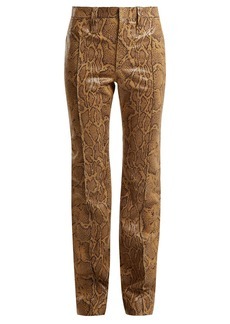 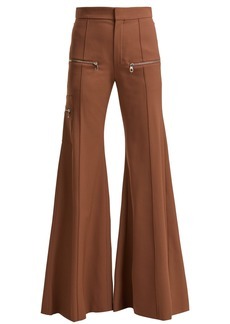 Style them with a neat top and cuban-heeled boots to see you through a busy day with confidence.